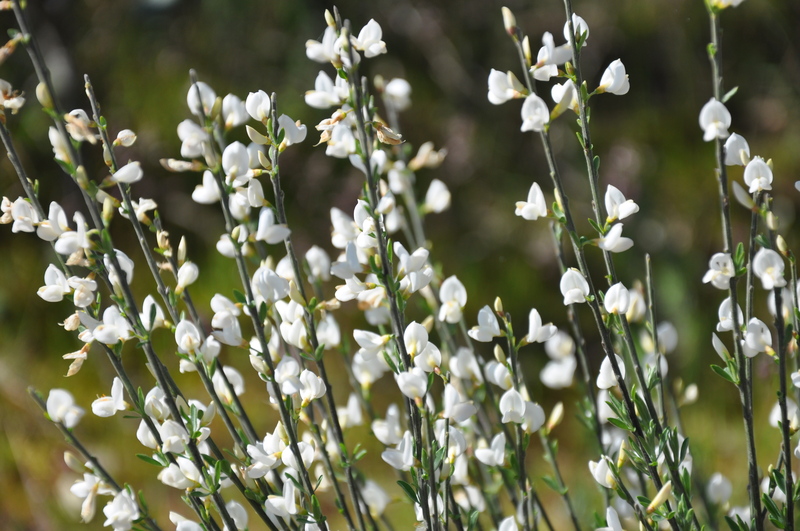 Cytisus multiflorus (white Spanish broom) is a shrub (family Fabaceae) with white flowers and tiny narrow leaves found in the Sierra Nevada and coastal ranges of California. It is native to Spain and Portugal. It favors woodlands and grasslands. It spreads via seeds which are explosively released from the parent plant. Seeds can be dispersed through dumped garden waste.